Now getting back to the story, Google is rolling out a new re-designed gorgeous Google Developer Console recently, embedded with their cool fancy materialistic design and some new easy-to-use features. Few days back I tried out their Beta version, which I must admit, was awesome, and I love it. 😀 They had made major changes to the interface of the console, but the functionality and the features are somewhat almost the same. 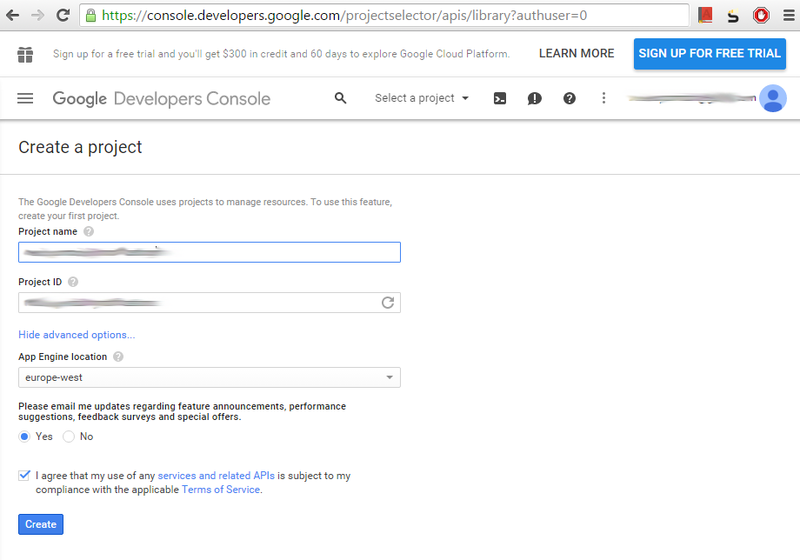 …behold the new Google Developer Console! First of all click on the Home option in the left menu pane which will be popped up by the top left hamburger button. Usually when you login you will be automatically redirected to home page but in case if your not, you may follow the above instructions. Once you are in homepage you will see a drop down button right next to the top Search bar saying “Select a Project” but if you had any previous projects created in the Console, then it will show up the default selected project name, either way click on the down arrow and then click on the “Create a Project…” ! 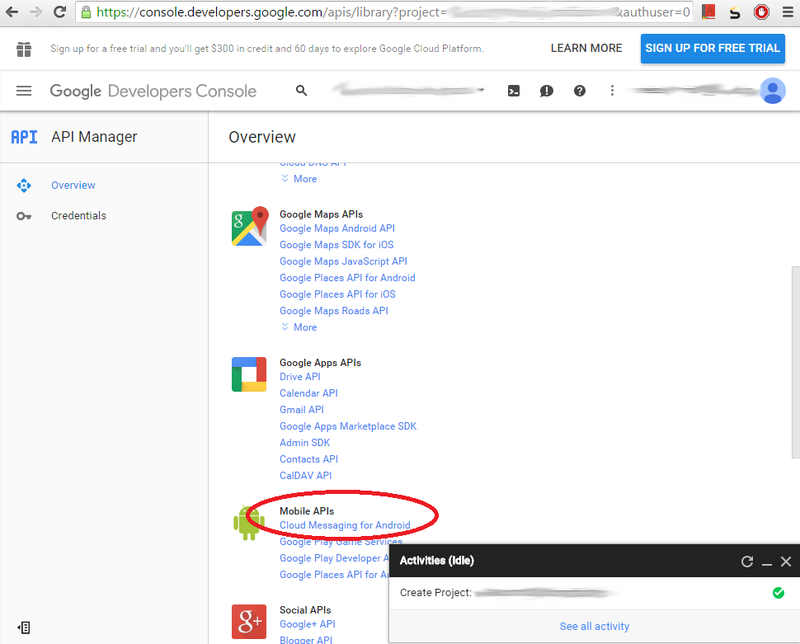 Well if you clicked on advanced options, then you may follow as below, where you may give project name, edit the suggested project name, and select the app engine server location..
Then once you are done, we need to activate the API component we require for Google Cloud Messaging service which is, “Cloud Messaging for Android” which is under the APIs section. So go ahead click on that top left hamburger, bring up the side menu, navigate to “API Manager” section. That should direct you to the API components page as below. Next go ahead and click on “Cloud Messaging for Android” under Mobile APIs section. Then you will be given an option to enable the API, so click on “Enable” and enable the GCM API for your project. WOOT WOOT ! Time for happy dance 😉 you have successfully enabled the GCM API for your project..
Well then let’s head into creating access credentials for our service right ? Right underneath the Overview section you may see the “Credentials” section, head into it to create our access credentials.. 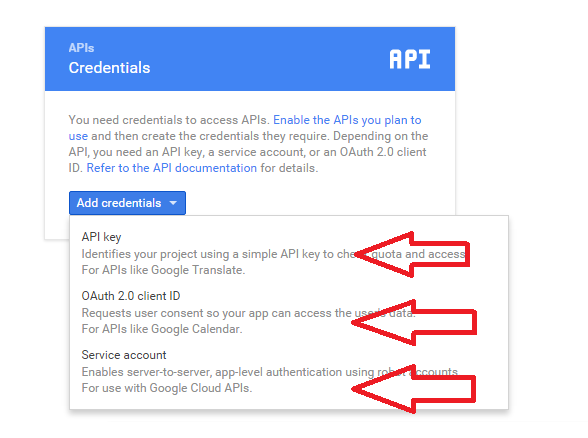 But if you are looking for other type of API keys such as for your native Android/iOS/ or Web app, you may go ahead with it at this point. Alright that will take you to creating a new server key. 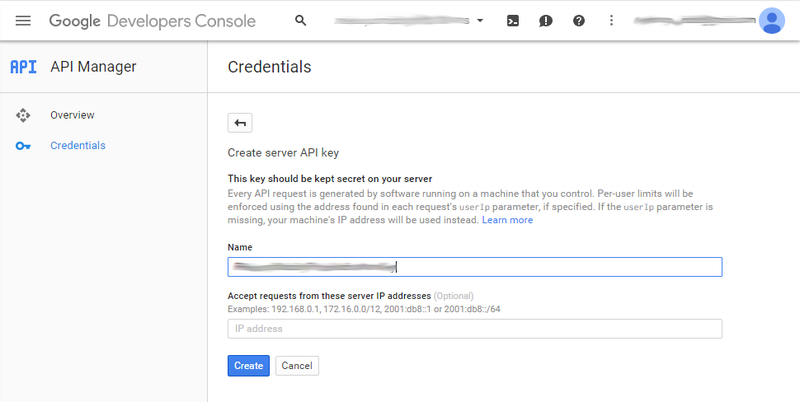 Provide a name for the key, and you could provide any specific server IPs you need to provide. 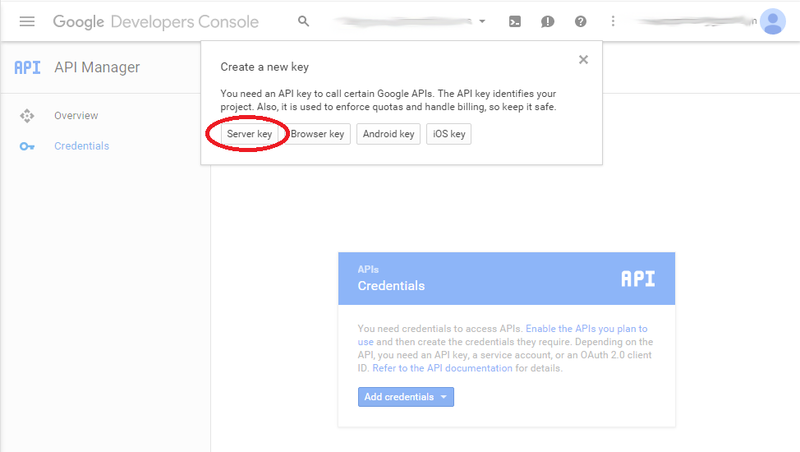 Well you could create any number of keys as you wish, and easily access them anytime under “API Manager” -> “Credentials” section !